Ribbed tube, made in a soft and warm blend of yarns, with spangles, for a light bright effect. Ribbed tube, made in a soft and warm blend of yarns, with spangles, for a light bright effect. 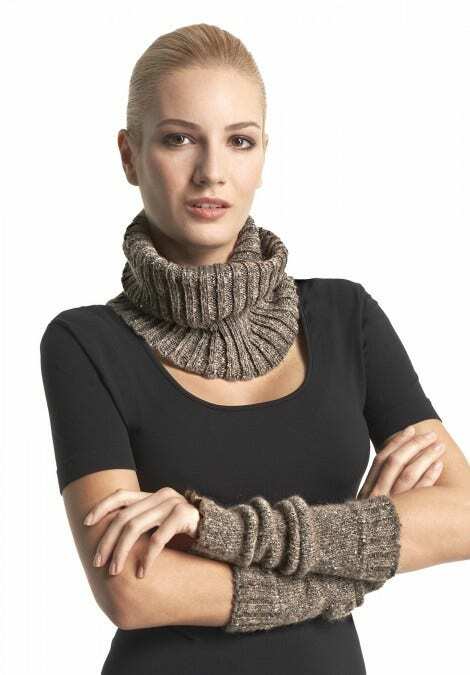 Versatile garment, can be worn around the neck as a scarf. It can be matched wit ALICE legwarmers. Ironed.